I have a GREAT deal for you today from Cents of Style! 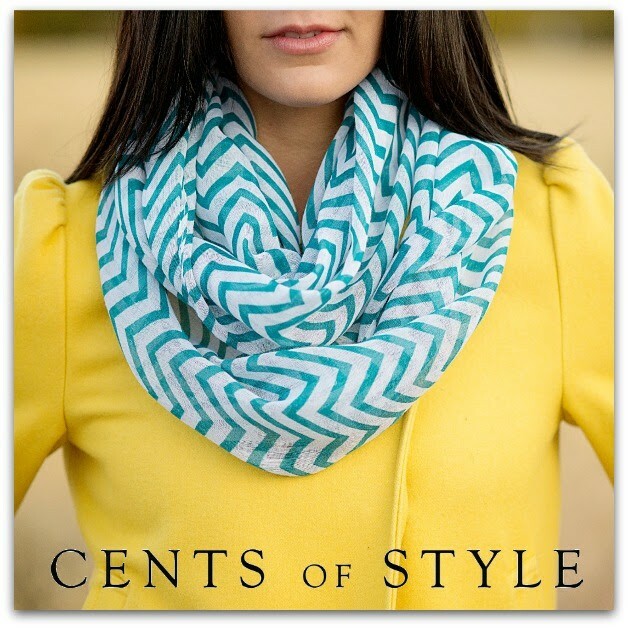 If you loves Chevron Infinity Scarves as much as I do then listen up! From today until Sunday, February 2nd (or while supplies last!) their best selling chevron infinity scarves are only $6.95 with free shipping with code LOVECHEVRON. These scarves are regularly $26.00 and come in all sorts of colors such as Red, Mint, Turquoise, Plum, Burgundy and Pink. It is very light weight and is almost gauze like in its appearance. To snag this deal before it’s gone, go here and don’t forget your code: LOVECHEVRON. Previous articleThe SJP Collection by Sarah Jessica Parker Launching at Nordstrom Soon!